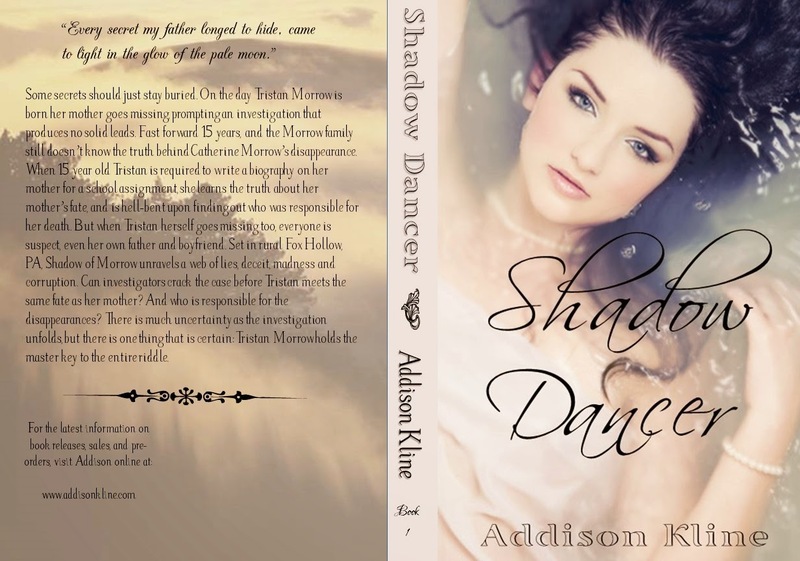 On September 12, 2014, Addison Kline will release Book 1 in her new Shadow Series titled Shadow Dancer. 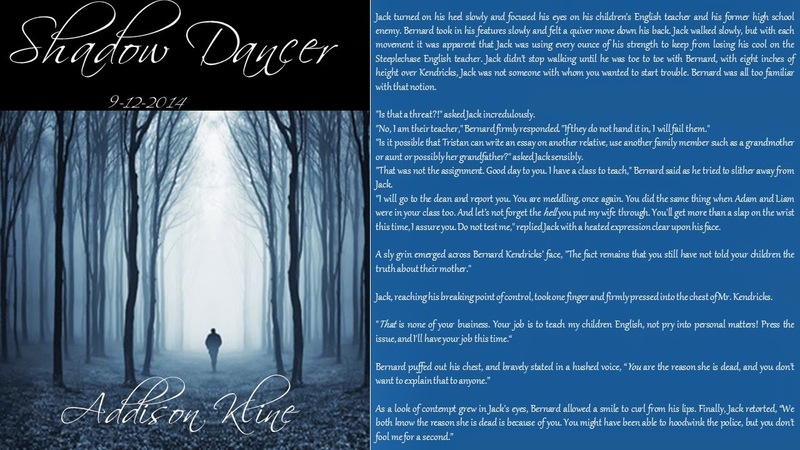 As of right now, Kline plans to write seven novels in this series, but is not limiting it. 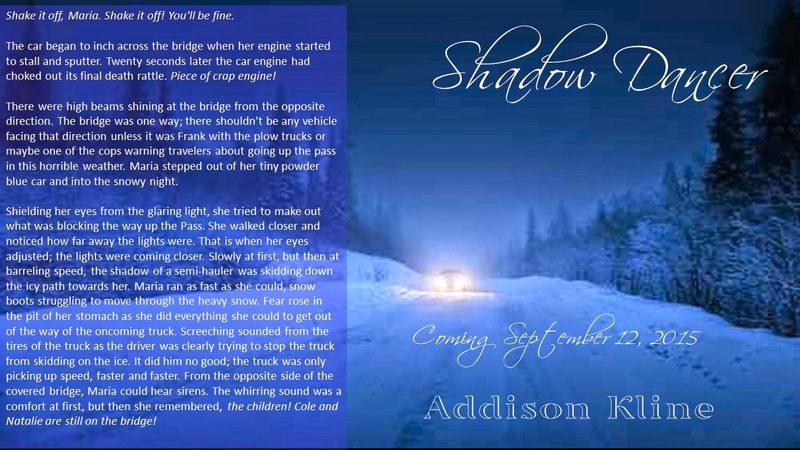 She promises that if the plot twists keep coming, the Shadow Series will live on. Some secrets should just stay buried. 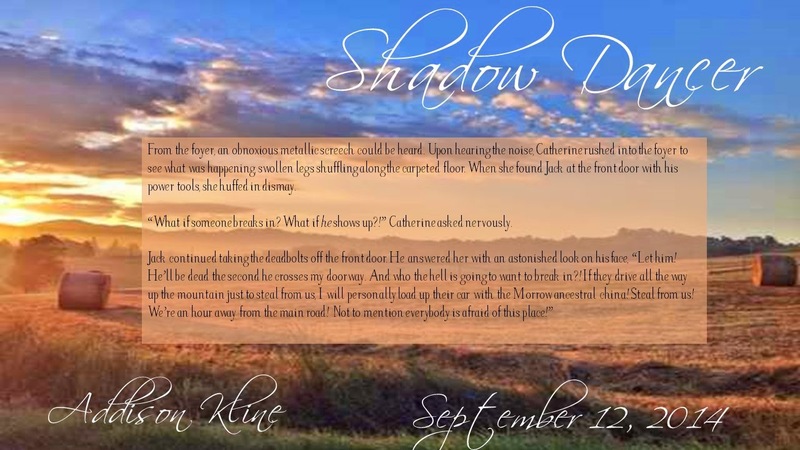 On the day Tristan Morrow is born her mother goes missing, prompting an investigation that produces no solid leads. 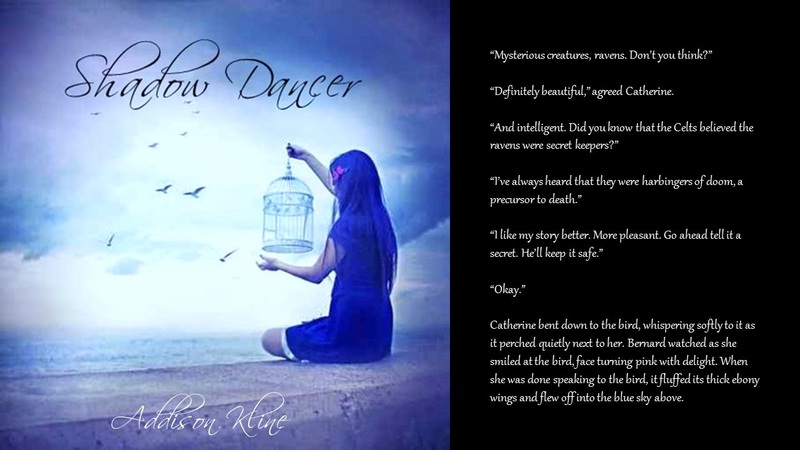 Fast forward 15 years, and the Morrow family still doesn’t know the truth behind Catherine Morrow’s disappearance. 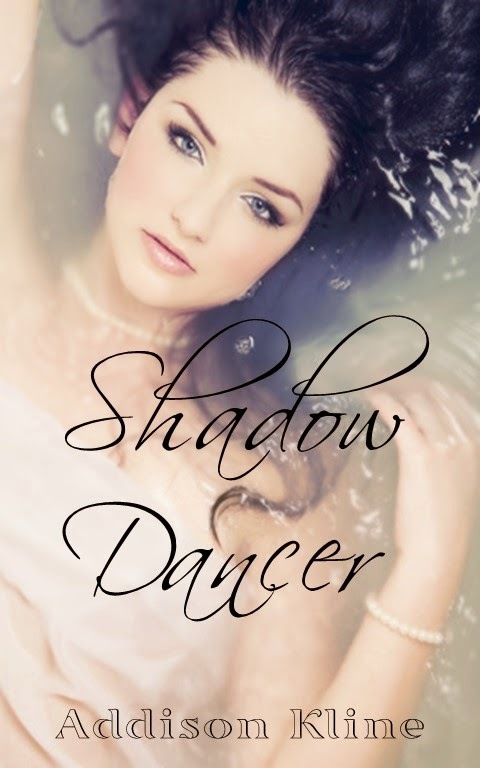 When 15 year old Tristan is required to write a biography on her mother for a school assignment, she learns the truth about her mother’s fate, and is hell-bent upon finding out who was responsible for her death. 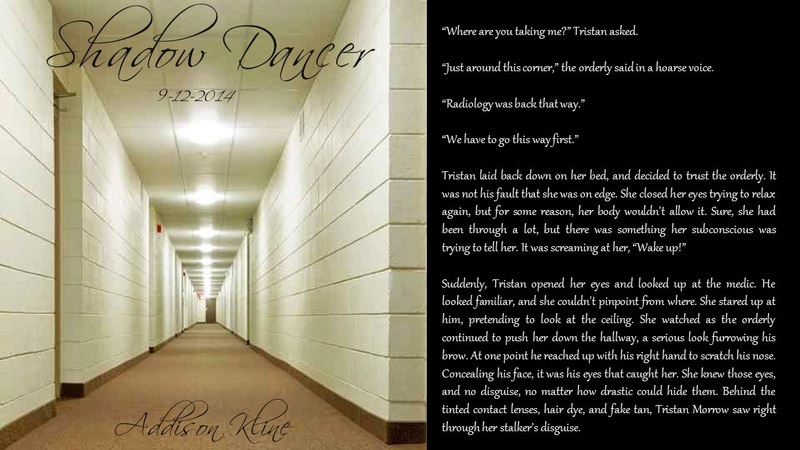 But when Tristan herself goes missing too, everyone is suspect, even her own father and boyfriend. 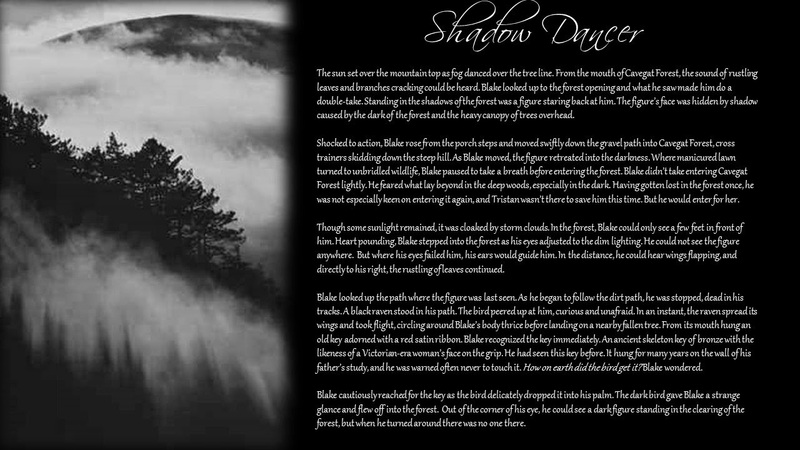 Set in rural Fox Hollow, PA, Shadow of Morrow unravels a web of lies, deceit, madness and corruption. 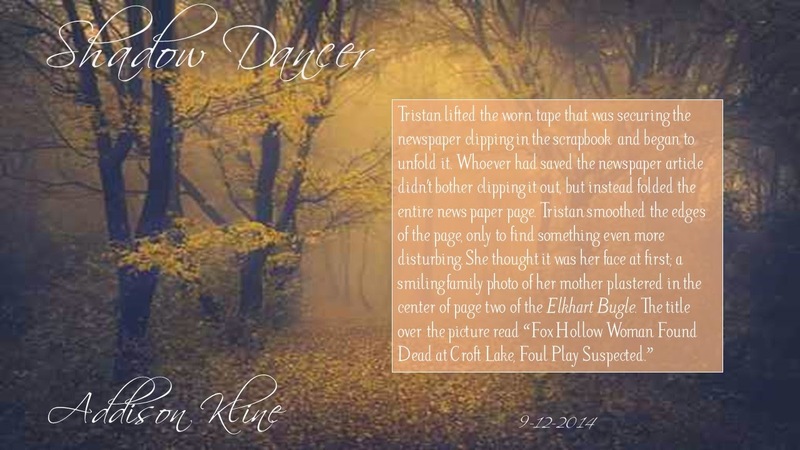 Can investigators crack the case before Tristan meets the same fate as her mother? And who is responsible for the disappearances? There is much uncertainty as the investigation unfolds, but there is one thing that is certain: Tristan Morrow holds the master key to the entire riddle.